I recently acquired this book which belonged to Rabbi Aryeh Kaplan. On page 48/49, I found an index card with some things typed on a typewriter. (picture below) I can’t make any sense of it. 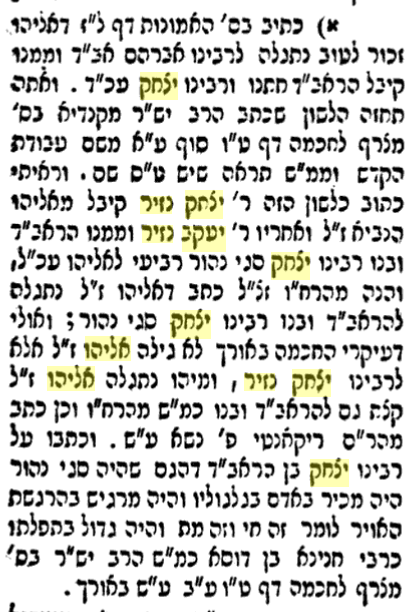 This text can be viewed here, in Sefer Shem HaGadolim, in a footnote about the second Raavid. It in turn is quoting from Sefer HaEmunot. Your card with the footnoted source from Shem HaGadolim is to provide a source for the statement in chapter 81 on page 49 of Sefer HaDat v'HaChinuch cited and linked in your question. There are no sources for the statement that our faith comes to us through the Prophet Eliyahu. The card provides the source from Sefer Shem HaGadolim that Eliyahu the Prophet appeared during the generation of Rambam to Yitzchok HaNazir, Yaacov HaNazir, the Raavad and then to Raavad's son, Yitzchok HaChozeh to teach them Torah according to our faith. 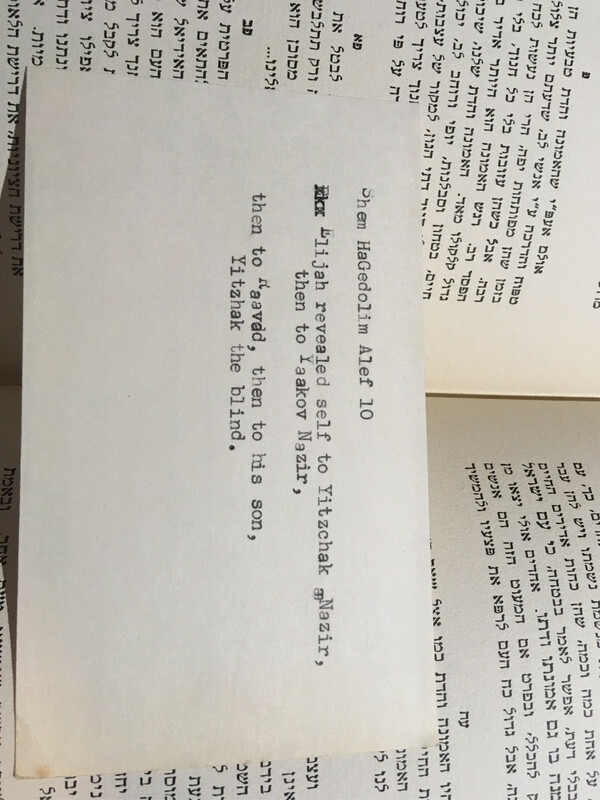 It appears that you actually possess a sefer that belonged to Rabbi Aryeh Kaplan, and that would appear to be one of the index cards that he or his wife, Toby made for future use. It is possible he was intending to publish a commentary to the sefer. You should cherish it knowing that Rabbi Kaplan actually held this sefer in his holy hands, gazed upon those pages and recited those very words when he was learning from it. May his merit assist you in your own Torah study and be a source of great success. Not the answer you're looking for? Browse other questions tagged sources-mekorot hashkafah-philosophy text story-identification . What is the most common way of indicating qere/kethib in the biblical text?